Forget the boiling water. 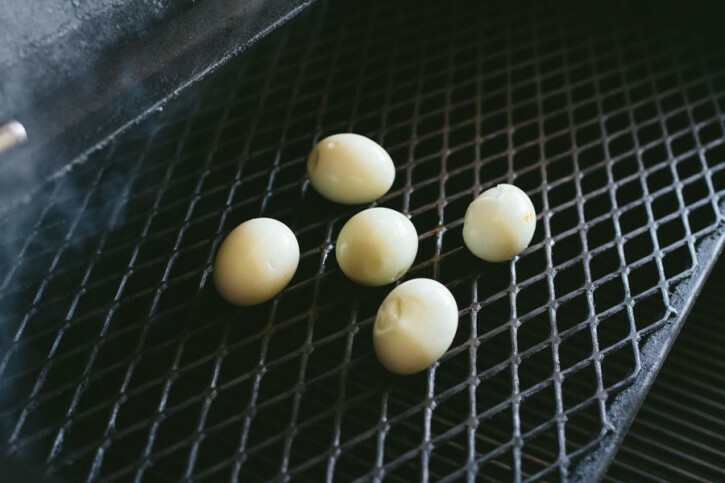 Your grill can cook eggs, too! 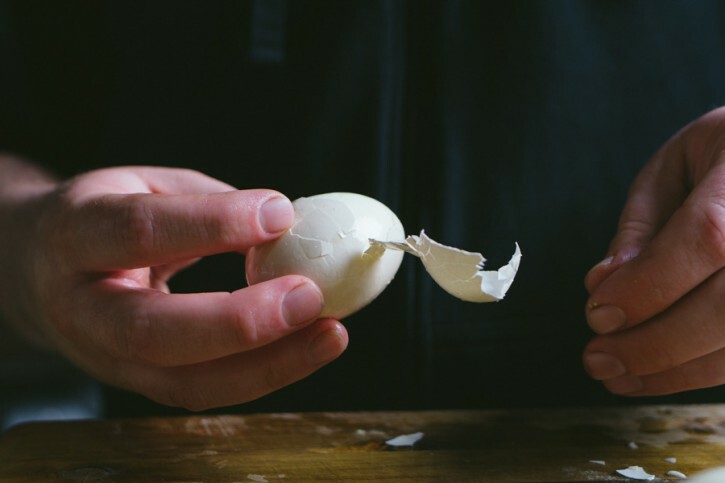 In addition to stopping the cooking process, shocking the eggs in cold water allows the shell to loosen from the membrane, especially if you crack the shell before shocking. Lighting our tube smoker for cold smoking. Once well lit, the flame can be blown out and the pellets will slowly burn back, producing smoke. 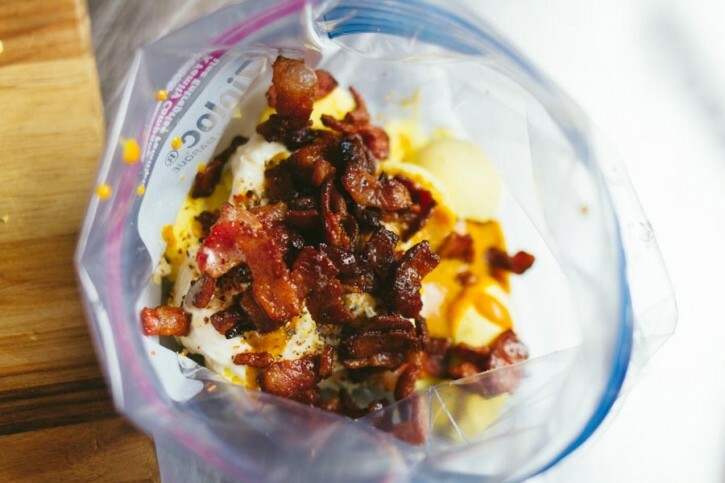 Minimize the mess and clean-up by combining your ingredients in a zip top bag. 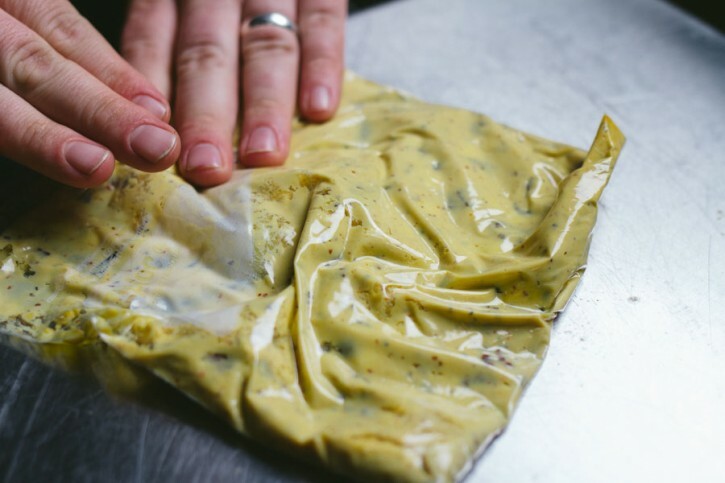 Work ingredients until smooth and well incorporated. Snip a corner, and you have a piping bag! Preheat your Yoder Smokers YS640 pellet grill to 350ºF, set up for smoking/indirect grilling with the diffuser plate in. 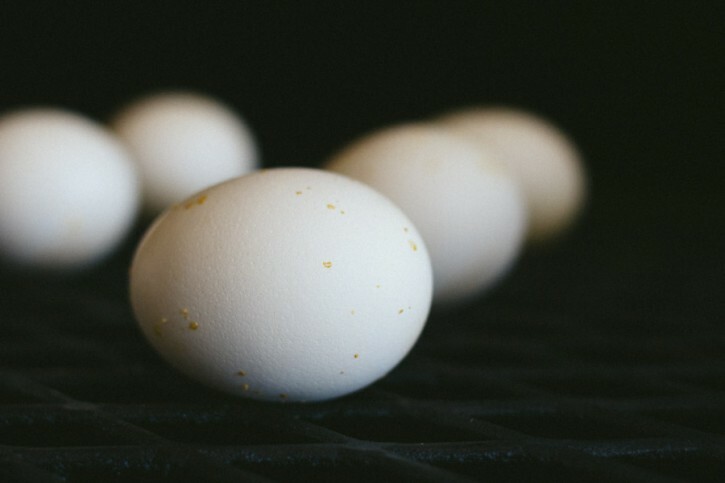 Place your eggs on the second shelf and cook for 30 minutes. 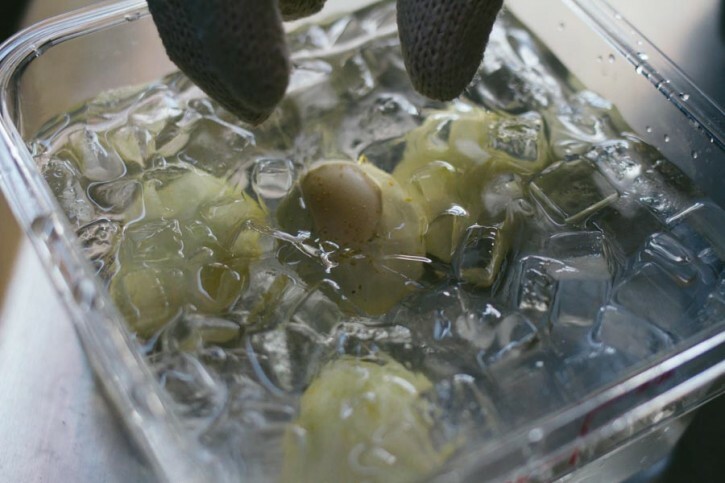 Remove from the cooker and immediately place in a bowl of ice water. Let cool for 15 minutes. Turn the grill off. Peel the eggs. Return them to the second shelf of the cooker. Turn the cooker on, but do not hit start. 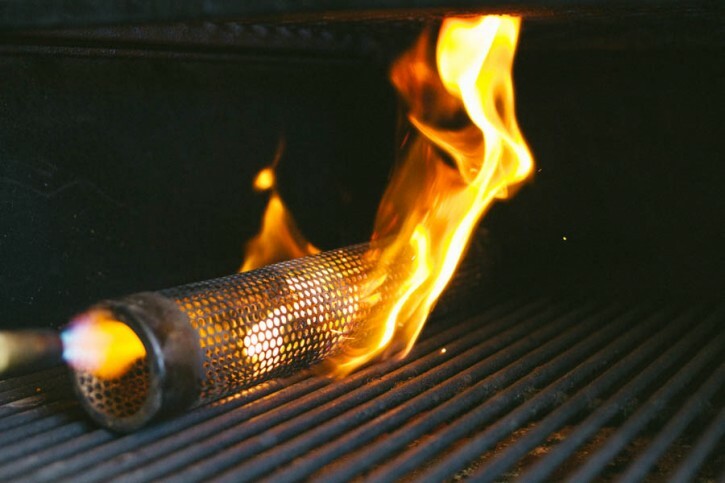 Place an A-MAZE-N tube smoker, filled with your favorite pellets, on the bottom grate and light with a torch. This will allow the smoke to circulate, without creating any significant heat. Cold smoke the eggs for one hour. Remove the eggs from the cooker. Slice in half, lengthwise. 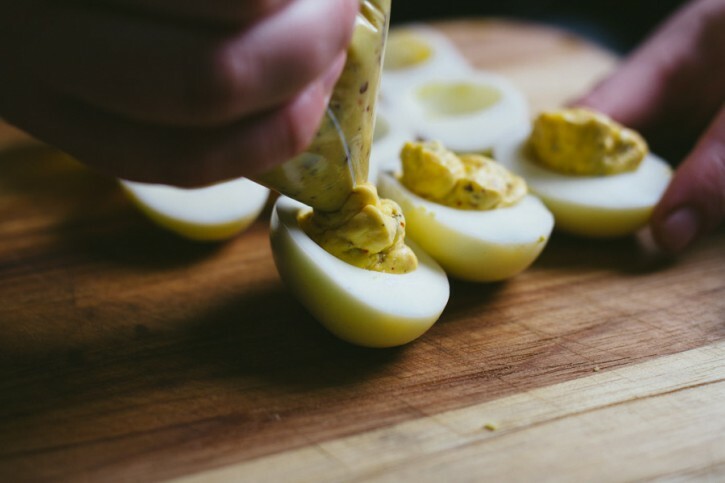 Remove the yolks and place them in a quart sized zip-top bag. Repeat with the remaining eggs. 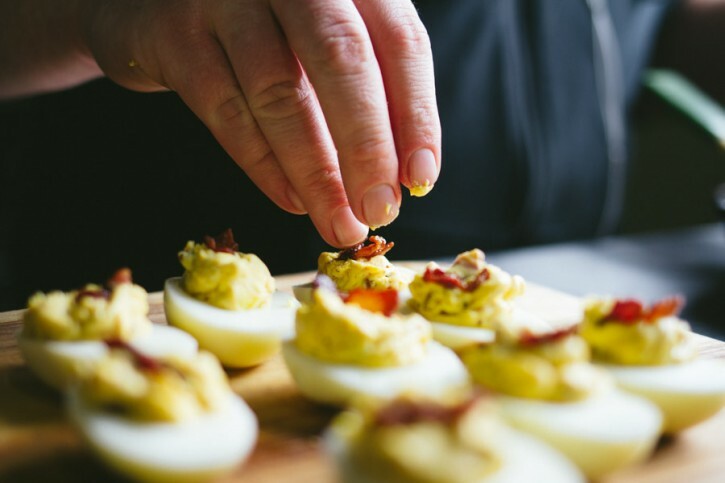 Add the rest of the ingredients to the bag, as well, reserving some of the diced bacon for garnishing the tops of the deviled eggs. Smash and work the mixture in the bag until well incorporated and mostly smooth. Cut one corner off of the bag and pipe the mixture back into the egg whites, where the yolks sat before removing them. Garnish the tops of the yolk mixture with a piece of diced bacon.